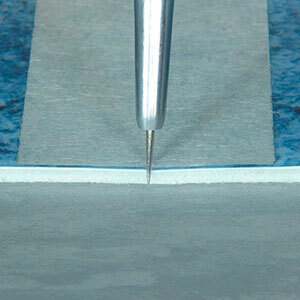 in the whole cross section of the seam. 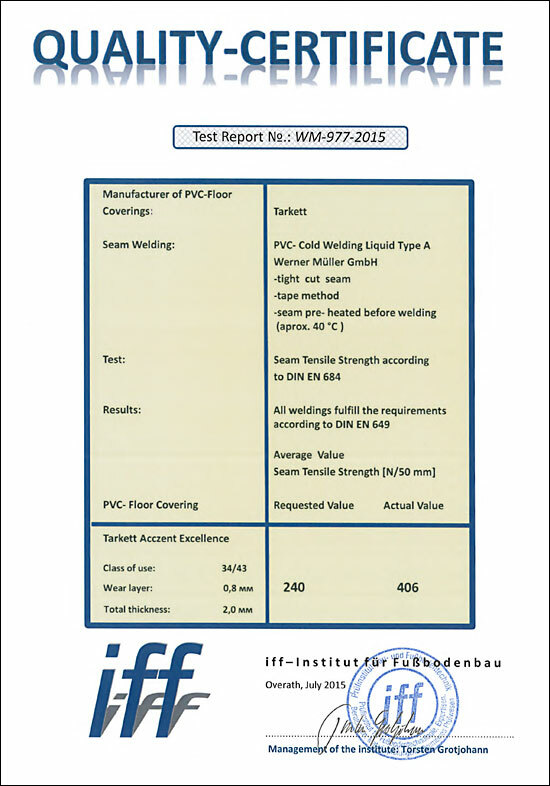 exceeds the values of the European norm (DIN EN 649) by far. 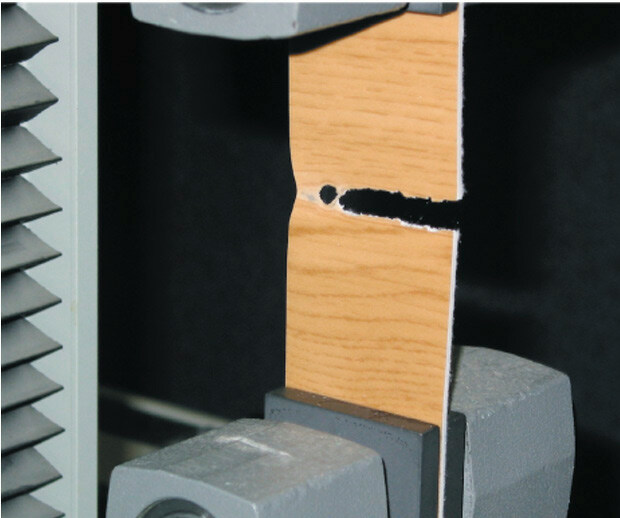 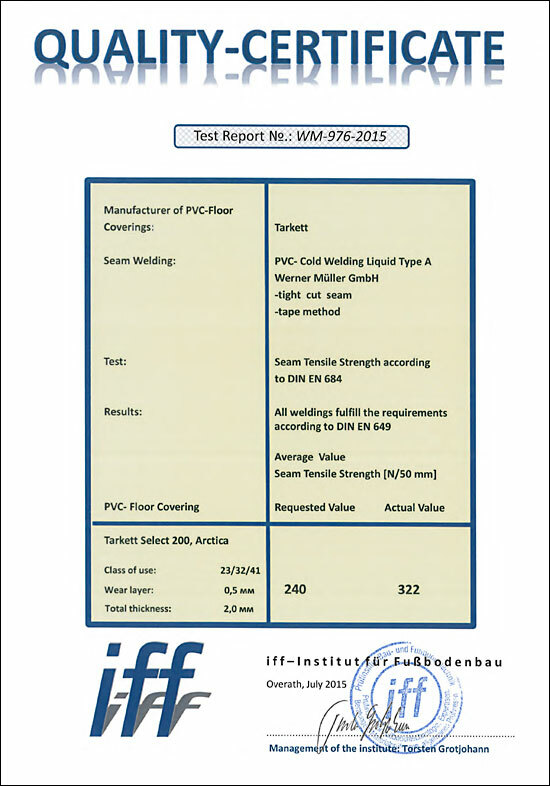 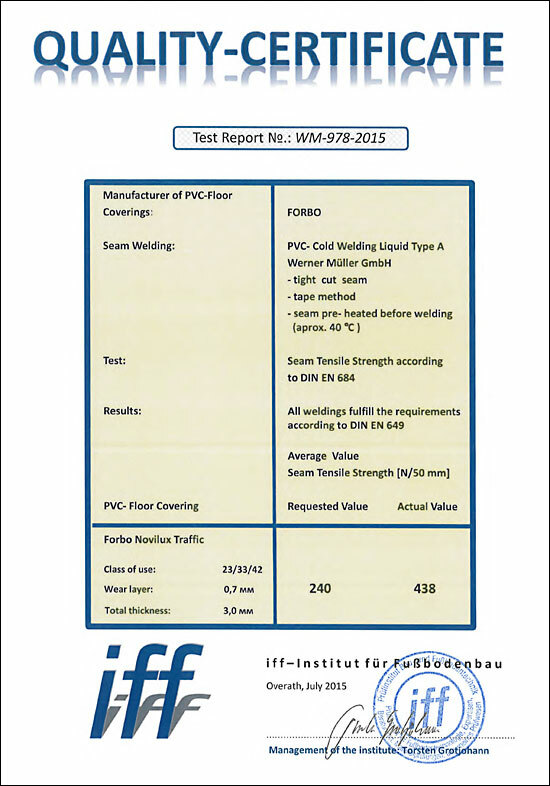 Tested, validated and documented by the (independent German) iff-Prüfinstitut für Fußbodenbau (testing institute for the floor construction industry). 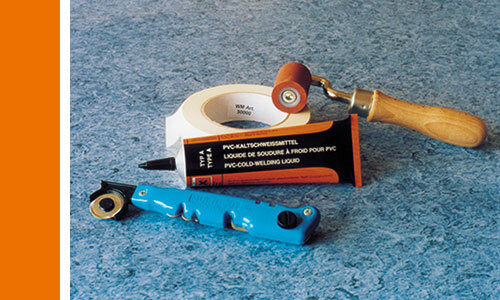 With just a few tools you achieve a lot! 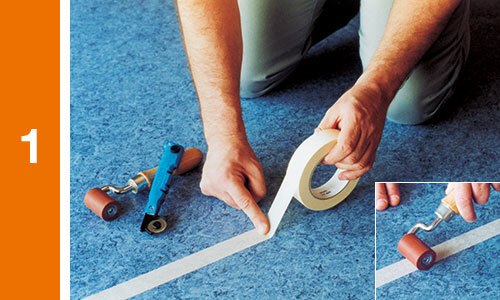 Cut the masking tape in the seam area with a rolling knife, a trapezoid blade or a hook blade. 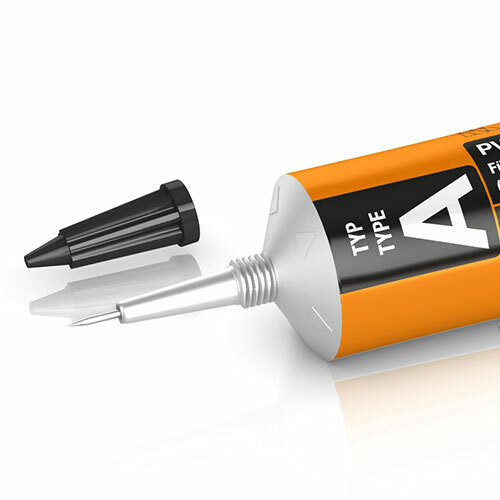 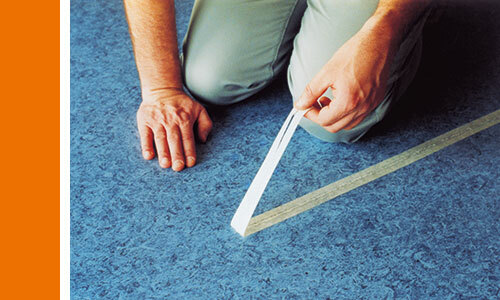 In case of stiff or little flexible PVC-floor coverings (for instance Commercial Floor Coverings) warm up the seam area to a maximum of 40 °C by using a blow dryer or an iron before welding. 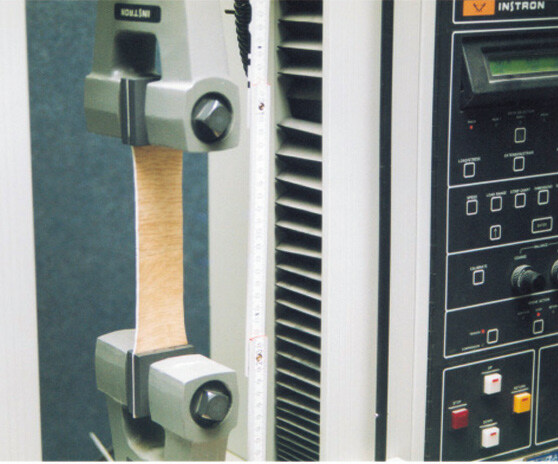 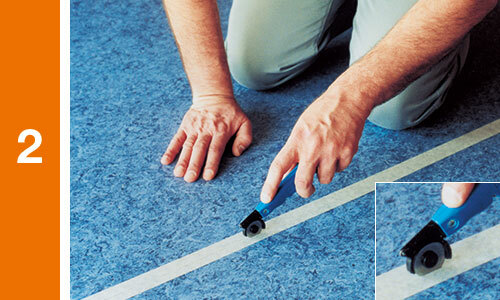 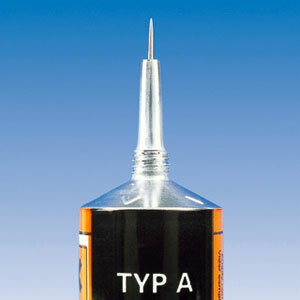 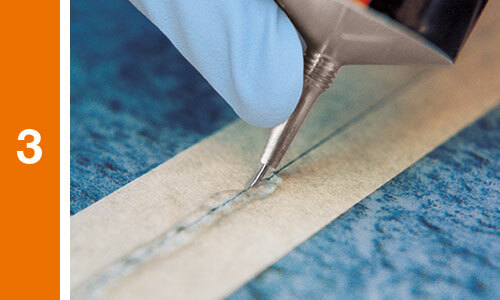 Press the needle deeply into the seam, go through the seam area steadily and control the rinse in a way to get an approximately 5 mm wide moistening on top of the masking tape. 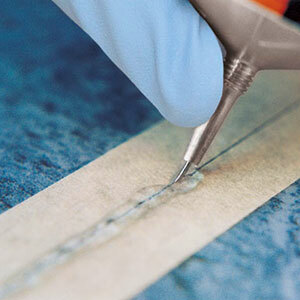 Remove the masking tape about 10 minutes after the welding by pulling it steadily backwards at an angle.